HORMONAL changes is a natural event that occurs with age, it is important not to get discouraged and remember that our skin preserves its "biological memory" and the faculty of recovering 100% of its vitality. It is important for a woman in her 50s and above to keep her face looking young. In a scientific research, an important active principle compensating for all the negative effects hormone deficiencies have on the skin is discovered. The ageing of the skin associated with hormonal factors is no longer irreversible. Histomer HLS, a treatment based on the HLS-BIO~ complex in powerful synergy with extracts of Histomer Cells and other multi-active substances, can strengthen skin previously weakened by hormone imbalances. Ultimate Impression (Ul), a one-stop beauty saloon, now provides this wonderful treatment. They are also famous for their Brownaissance Eyebrow Embroidery Technique. The right time for applying this Histomer HLS comes when hormonal deficiencies start thickening face lines, making the ageing process more visible. This special facial therapy is strongly recommended before or during menopause to compensate for all the negative effects hormonal deficiency has on the skin. This coming Mother's day, Ultimate Impression dazzles all with its latest HLS Intensive Facial Therapy Promotion Package. 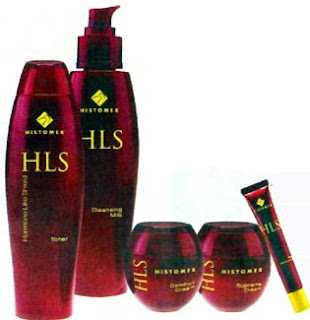 Customers who buy the HLS skincare products can get FREE treatments worth more than RMI, 296! Brine a smile to mom's face with HLS lntensive Facial Therapy from Ultimate Impression! ,You can sign up for ,Ul's famed service – Brownaissance Eyebrow Embroidery for your morn at the same time too.